Early treatment and rehabilitation after a stroke help many people regain a lot of functions and, while most improvements happen in the first six months after the stroke, it’s worth remembering that the brain will keep repairing for years if you can put into action the principles of the rehabilitation process. Medical researchers often talk about neuroplasticity – the brain’s ability to learn new skills and to regain lost capacity. It refers to the way cells in the brain change in response to an experience. It helps us learn, remember and heal after brain damage. It’s constantly happening in children’s and adult’s brains which is surely cause for great optimism. It’s pretty overwhelming to realise the brain has over 100 billion neurons (brain cells). When some of these are damaged by a stroke, the brain sets to work within hours, remodelling to help us regain skills. The secret? The willingness of a patient to participate in rehab as soon as health professionals advises them to start moving. According to Epworth neurologist, Dr Andrew Evans, most recovery happens in the first six months, post-stroke, but is continuous and always possible as the patient’s needs change. “Epworth health professionals are familiar with the latest research from around the world and we know the type of rehab that is suitable for each of our patients, depending on the part of the brain affected,” he says. Rehab will begin as soon as you are stable in the stroke unit or medical ward. It might be as soon as 24 hours after the stroke. The activities will change as you improve and your needs change and, in time, you may do a lot of your rehab from home or as an outpatient. Rehabilitation can also involve technologies such as video games, robotics and functional electrical stimulation to improve various skills. Getting back to work will be a great motivator for someone who has had a stroke, perhaps part-time to start with. And driving will probably take a while. You shouldn’t drive in the first month after your stroke and will need clearance from a doctor before you resume. There is some great advice available, including real life stories, from the Stroke Foundation. For more information, speak to your general practitioner, your neurologist (brain specialist) or StrokeLine on 1800 787 653. Face - has their face drooped? Speech - is their speech slurred and do they understand you? 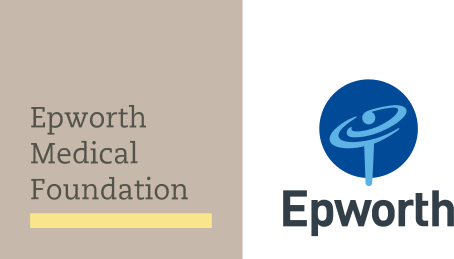 Epworth has a reputation for providing the highest levels of patient care and clinical support in all aspects of Neuroscience. From stroke, neuro-oncology and Parkinson’s disease to support services like acute pain, mental health and rehabilitation. Learn more here.